BJP chief Amit Shah today hit back at former prime minister Manmohan Singh over his criticism of Narendra Modi. NEW DELHI: BJP chief Amit Shah today hit back at former prime minister Manmohan Singh over his criticism of Narendra Modi and asked the "angry" Congress veteran why he was silent when a "monumental loot" took place during his tenure at the Centre. "We want to ask respected Manmohan Singh ji why was he not angry and anguished when a CM of his country was called ‘Maut Ka Saudagar'. Why is he still silent when PM of his country is called ‘neech’," Shah said in series of tweets. The BJP president's reference was to remarks made against Prime Minister Modi by Congress leaders. We are seeing a very angry Manmohan Singh ji these days. We just want to ask him whether he was so angry when monumental loot & plunder was happening under his watch? The nation missed this anger then! He said the nation missed Singh's anger when the "monumental loot and plunder" were taking place during his tenure as the prime minister. "Amused to see the Congress party so desperate before the Gujarat elections. Just a day before polling, both Shri Rahul Gandhi and respected Manmohan Singh ji are only maliciously attacking PM," he said. Only after the secret meeting was exposed, respected Manmohan Singh ji said that the discussion was confined to India-Pakistan relations. Why did he not consider it appropriate to apprise GoI about such a meeting with a neighbour like Pakistan. Why did he try to hide it? Shah was responding to Singh's remarks earlier this week when he accused Modi of "spreading falsehood and canards" to score political points and sought an apology for his "ill- thought transgression". On the eve of the second and final phase of Gujarat's Assembly elections, Shah also accused Singh of taking a U-turn in declaring that he had attended a meeting with Pakistani diplomats after denying it. "Only after the secret meeting was exposed, respected Manmohan Singh ji said that the discussion was confined to India-Pakistan relations," Shah said, asking him why he had not apprised the government of the meeting. Shah also took Singh on over party leader Rahul Gandhi publicly tearing up an ordinance during the UPA rule. "Where was his concern for the dignity of the Prime Minister’s office," Shah asked. 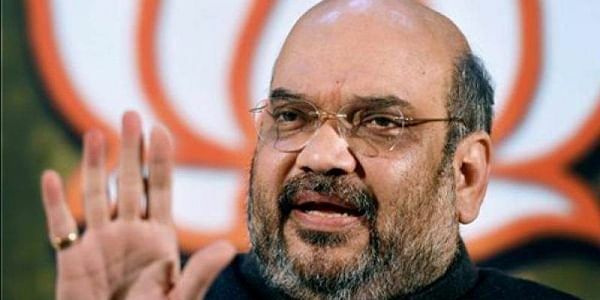 Describing the attacks and allegations by both Singh and Gandhi as the "desperation" of the Congress party a day before polling, Shah said both leaders had "maliciously" attack the Prime Minister.